It was more than a year ago that I got an email request from Millenium Press asking about license to use one of my Gigapan images for what sounded like an interesting project- they have published the world’s largest atlas of the world. 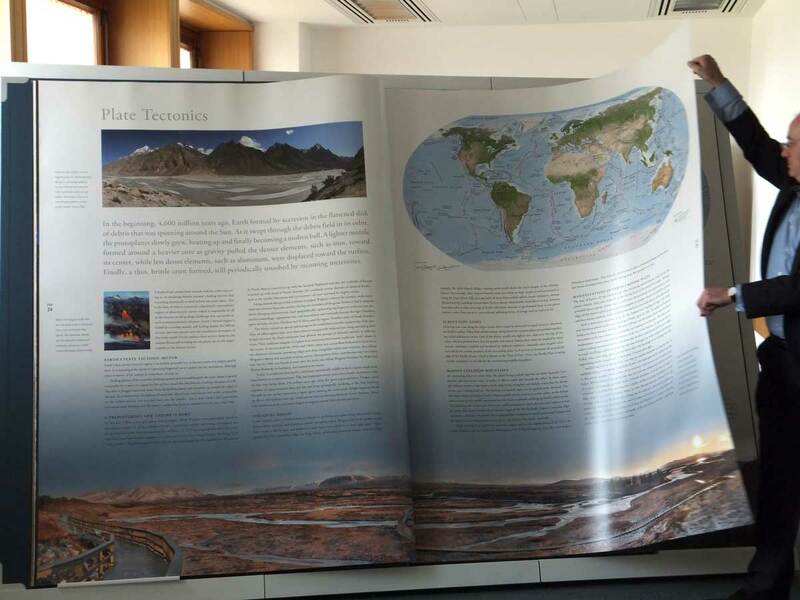 Earth Platinum is a printed atlas that is 6 feet high! That is quite a thrill. 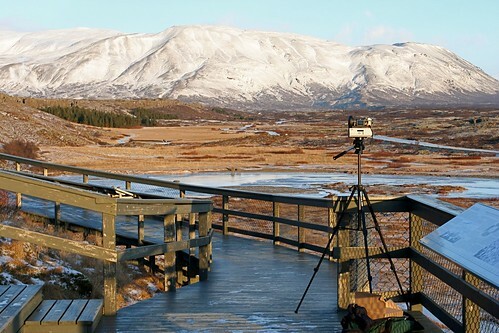 For what it’s worth the original imagemof Thingvellir in Iceland they found is in the zoom and pan from of Gigapan at http://gigapan.com/gigapans/13062. I was a bit surprised when they asked, because this image has all that ugly banding around the sun. That was because it was so cold that day I forgot to set the exposure hold lock on my little camera. It looks they cleaned it up nicely! The other thing worth knowing about this place is that it was a gathering spot in the year 930 (no typo) where the Icelandic Parliament was formed. They have some old democracy there. The irony of this story was that the only other people here were three american tourists. I was surprised when one of them asked me “Is that a Gigapan?” as I had not had one person recognize the rig in the year or two I took it on the road (also in Shanghai, Hong Kong, Australia)– but this guy was actually affiliated with the Carnegie Mellon University research group that developed the software. I am rather stoked to see my photo in the big atlas! Now I just need to build a big bookshelf (kust kidding, I do not get a copy). How totally cool is that!? I love it…so classy and edubrainy! Nice job on the shot. So proud of my little brother!! You are not published and I am very excited for you. I am a big fan of your photography and now others can view it 6ft high! Love from your big sis! Way cool! When I get to London (someday) I will go look at it!